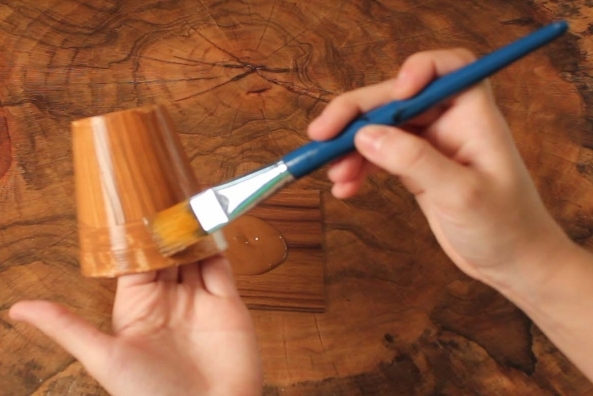 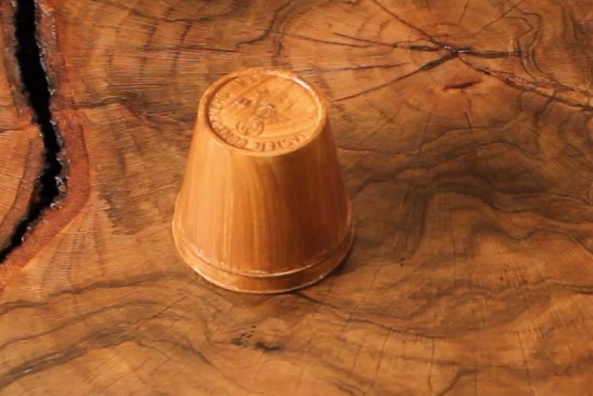 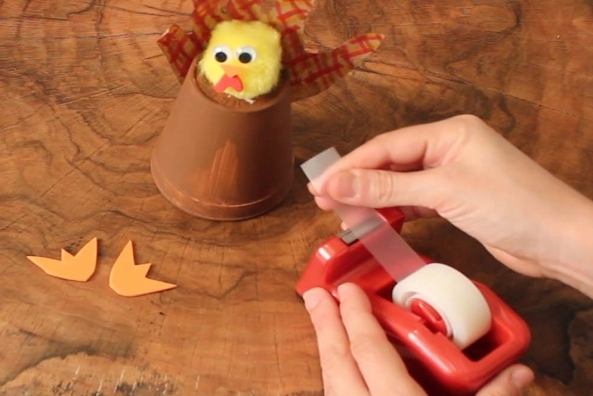 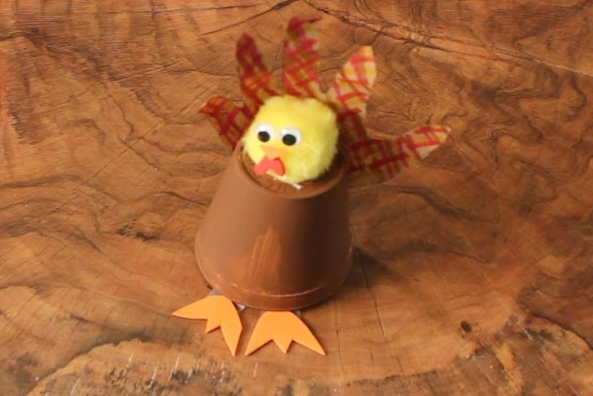 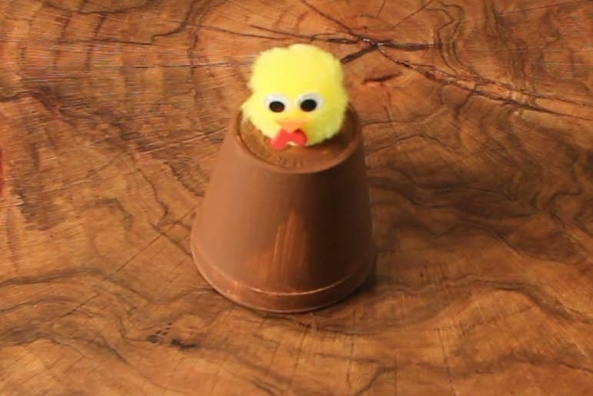 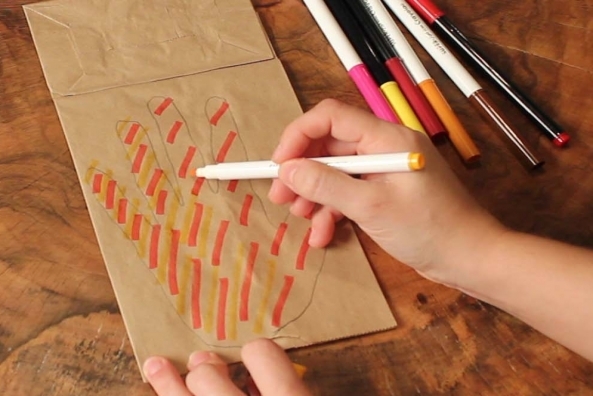 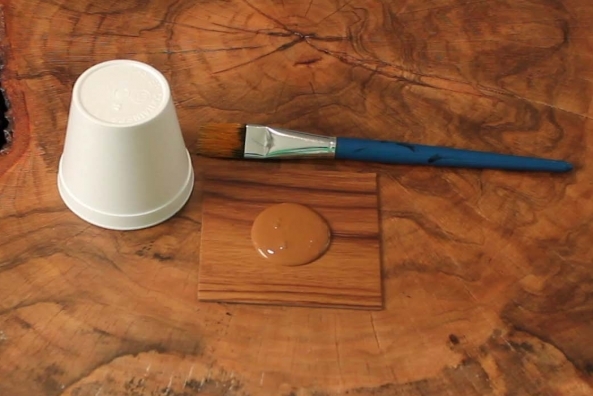 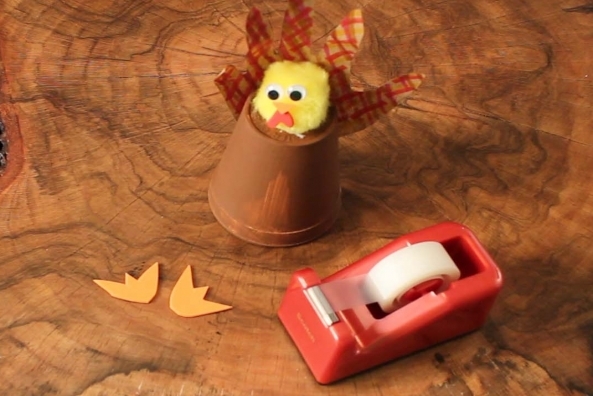 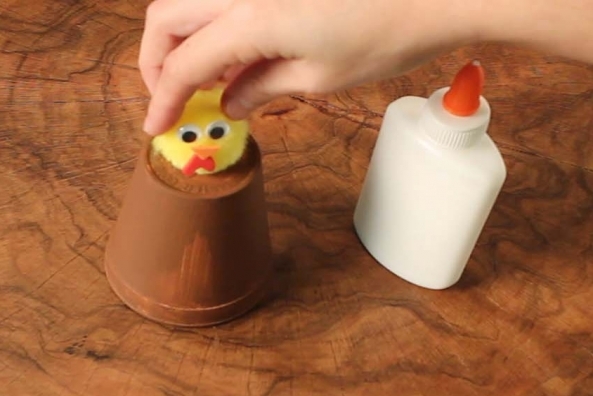 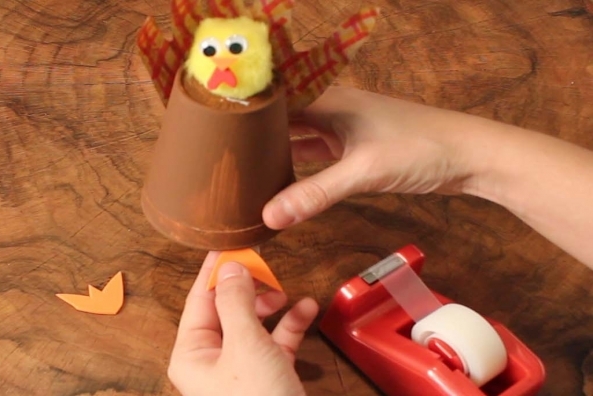 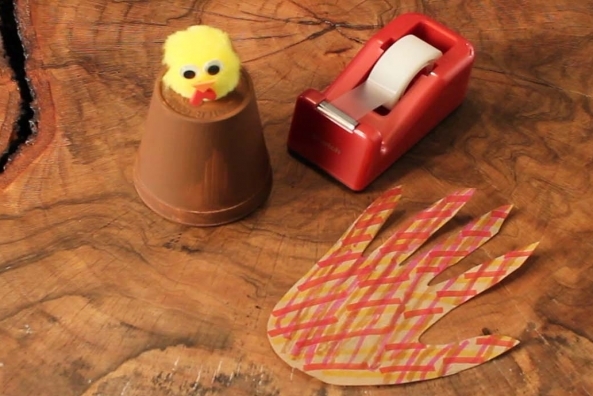 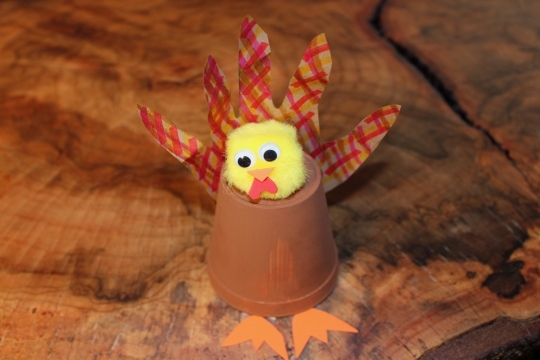 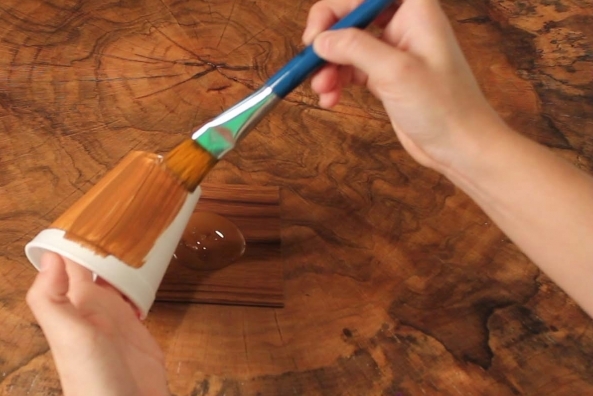 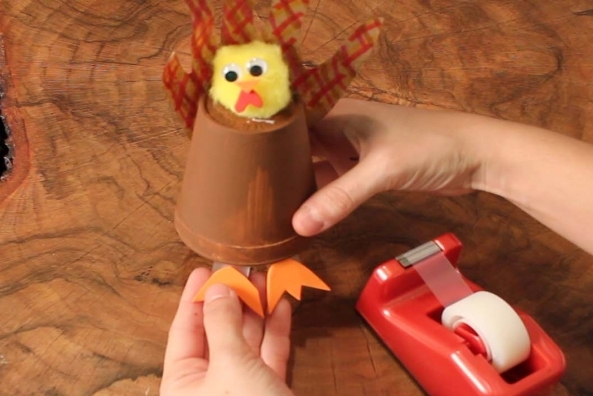 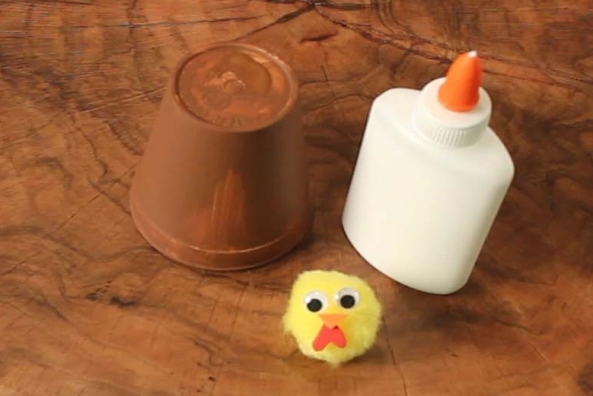 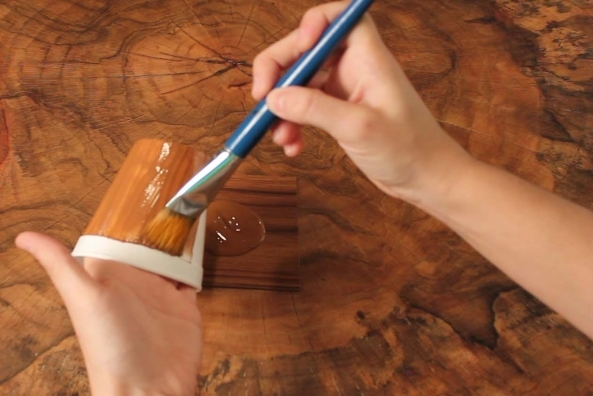 Make this table topping turkey with paint, paper and a cup! 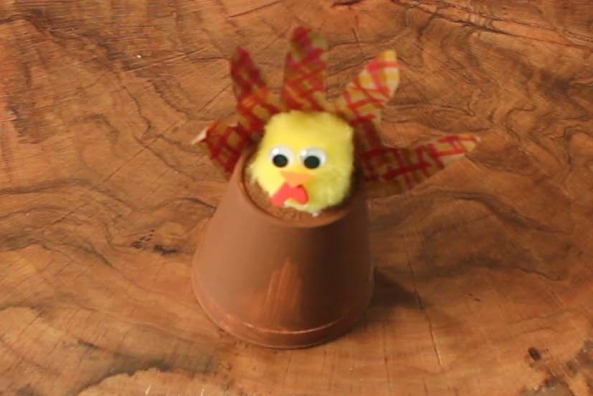 Read this silly story about a Turkey Ball! 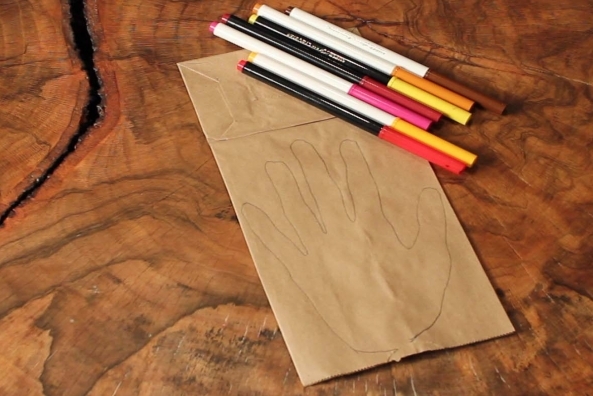 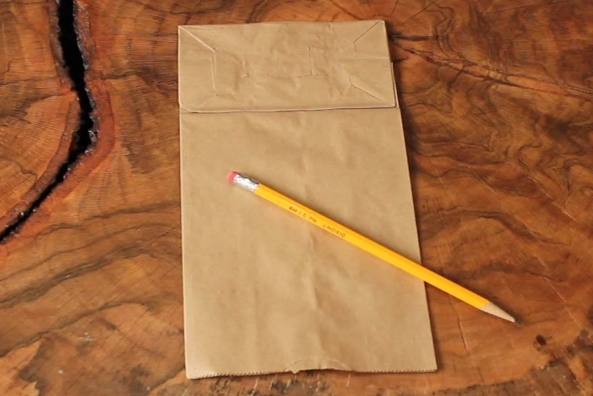 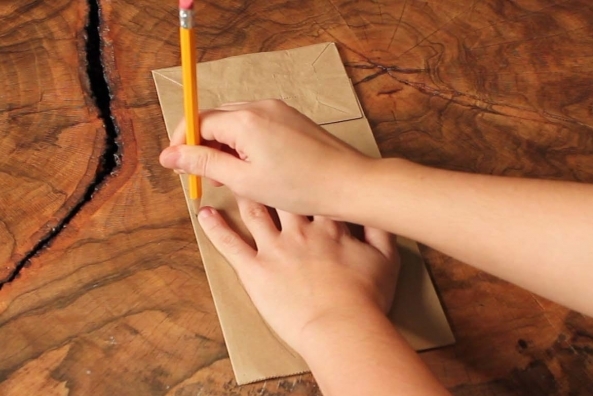 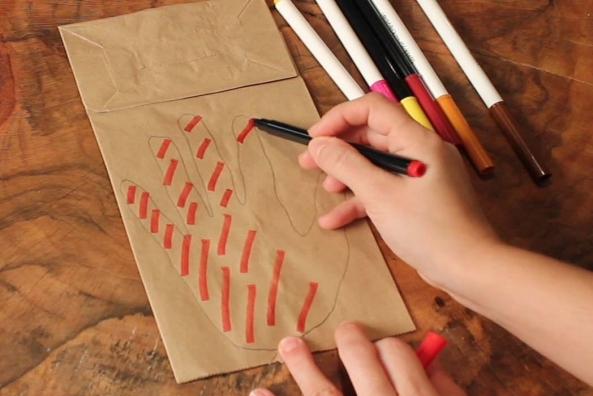 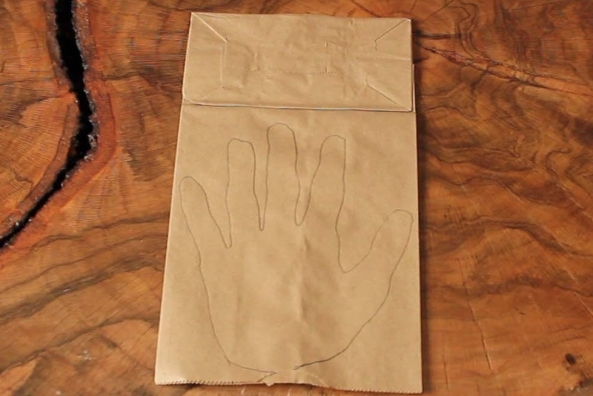 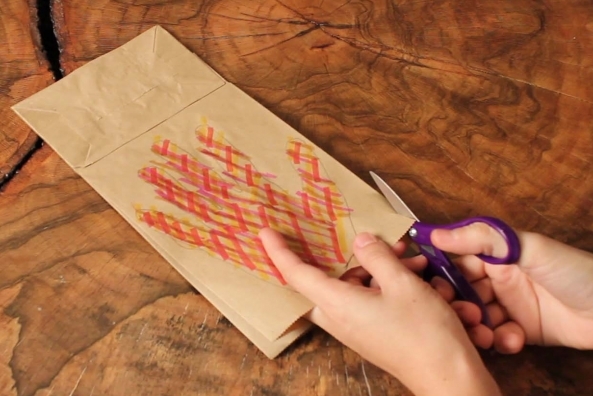 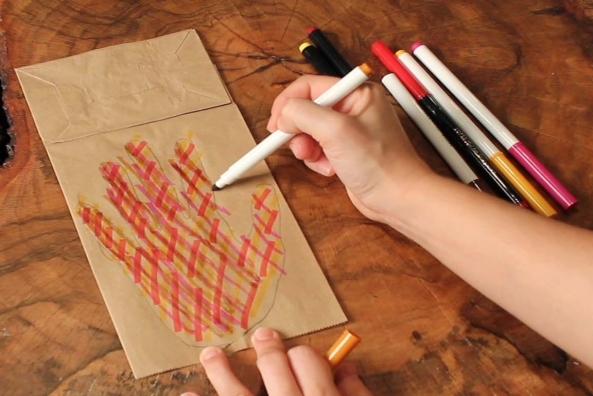 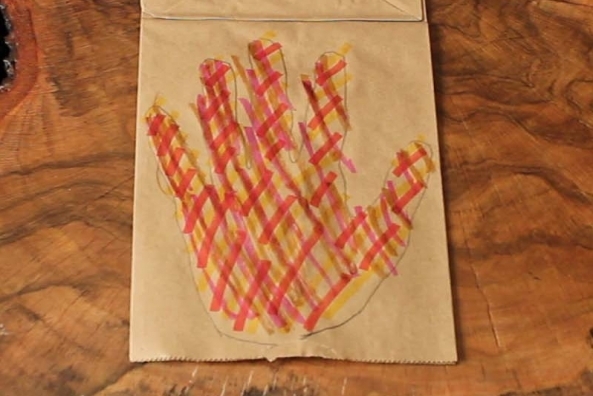 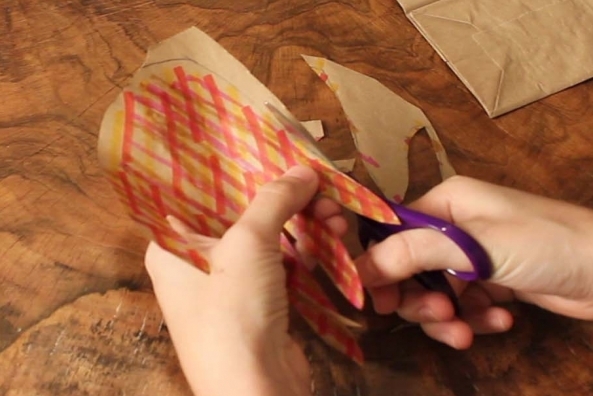 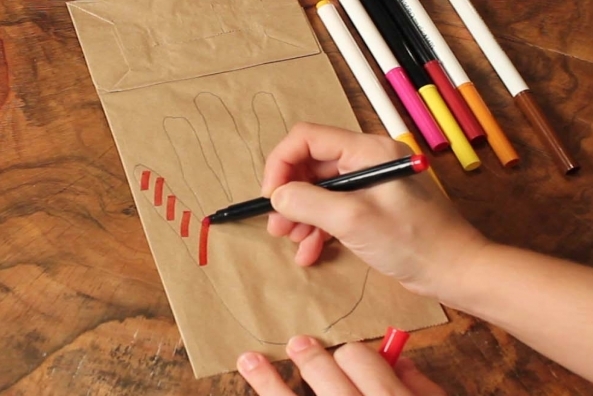 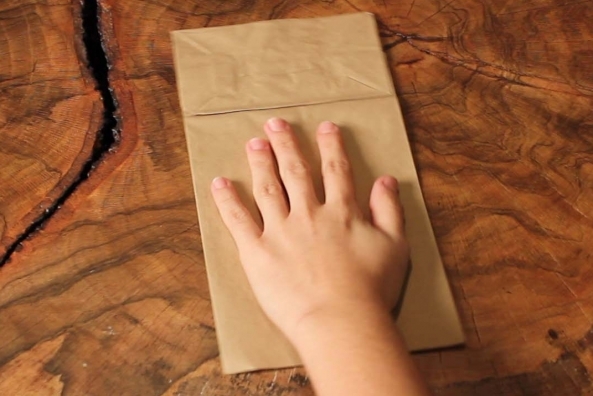 Trace your hand onto a paper bag. 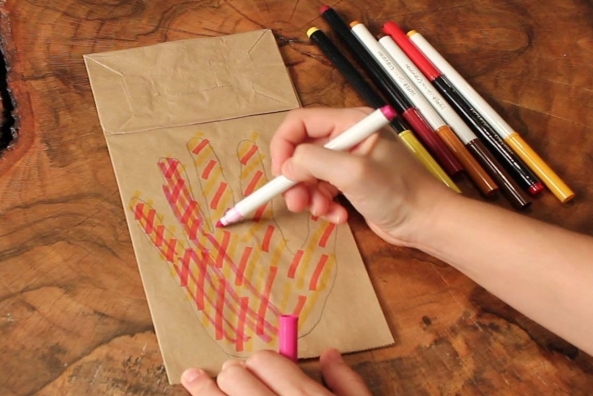 Color the traced hand with markers. 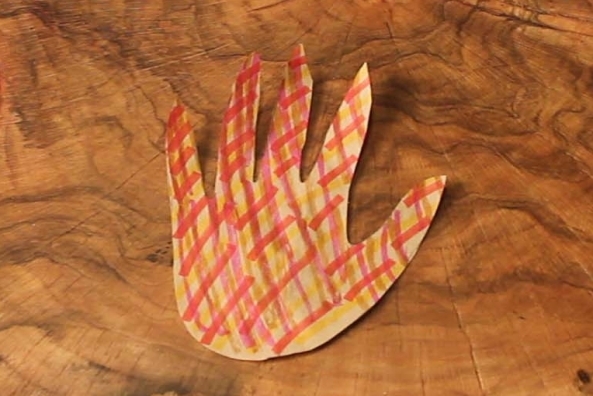 Cut out the colored hand. 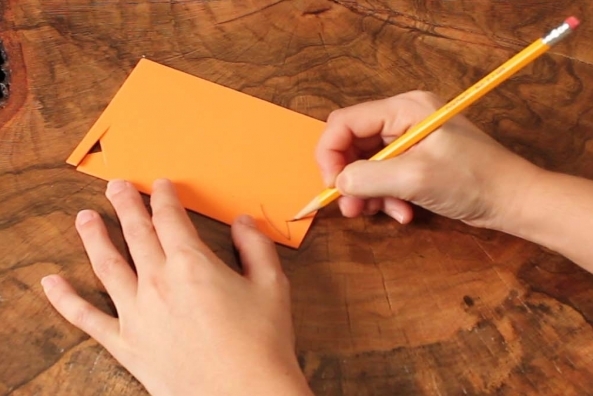 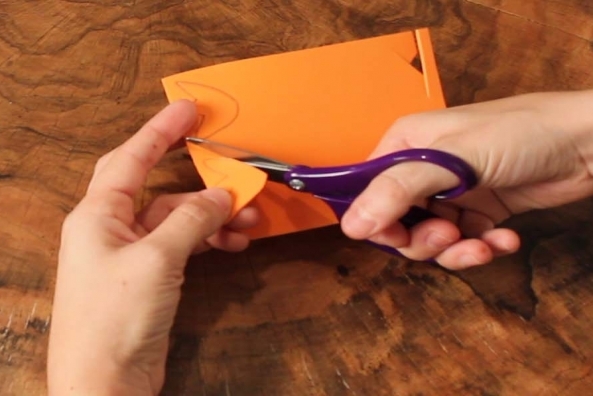 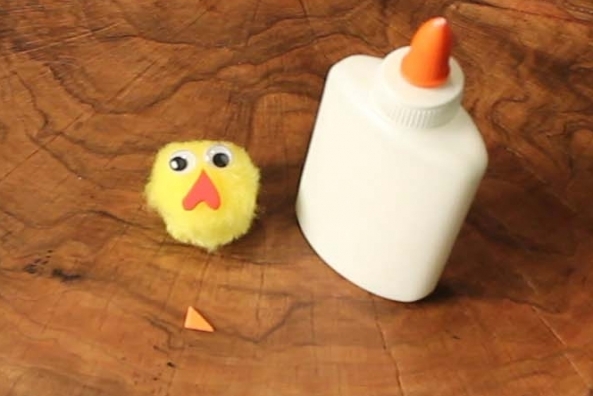 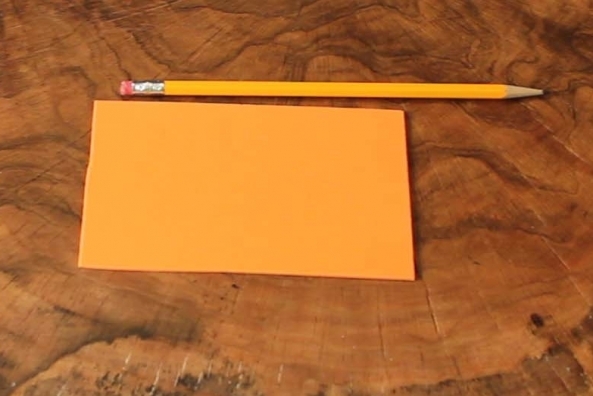 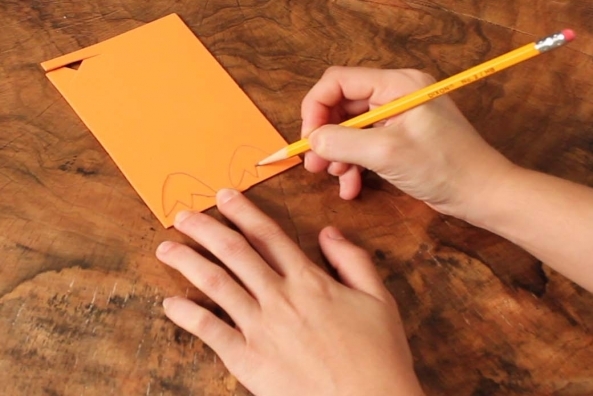 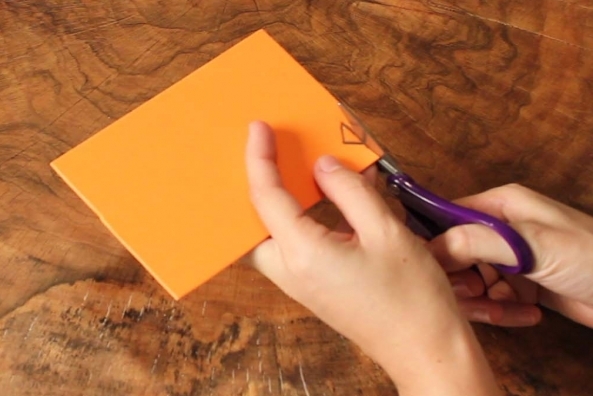 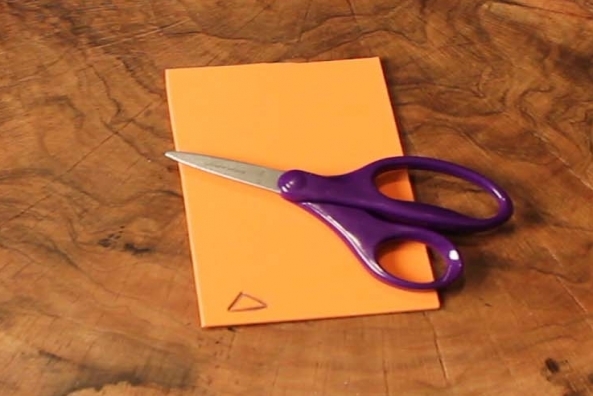 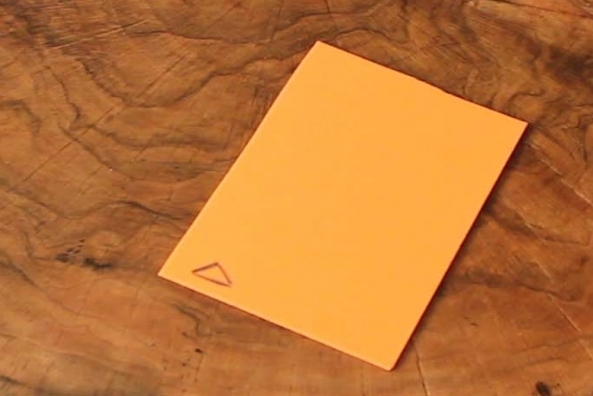 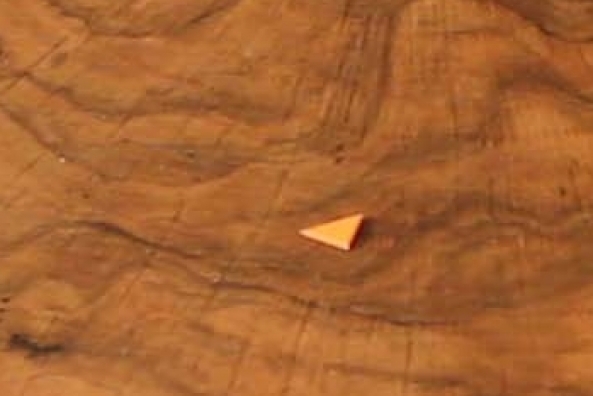 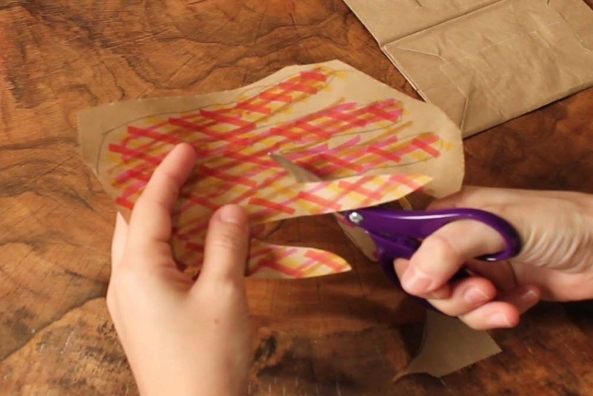 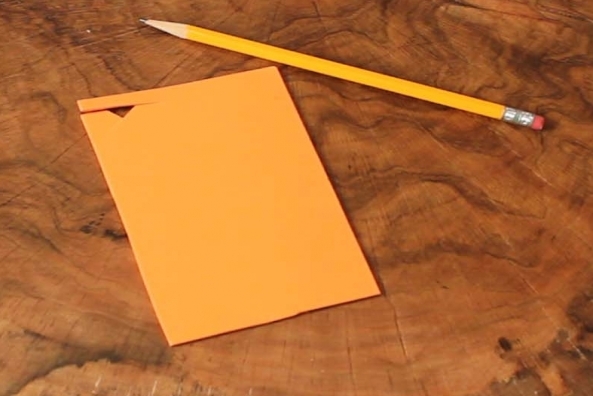 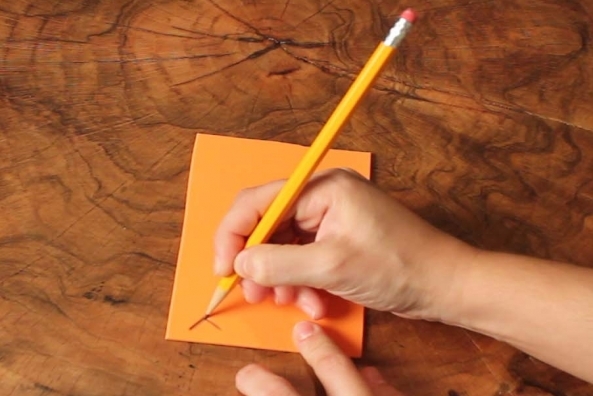 Draw a small triangle onto a piece of orange craft foam. 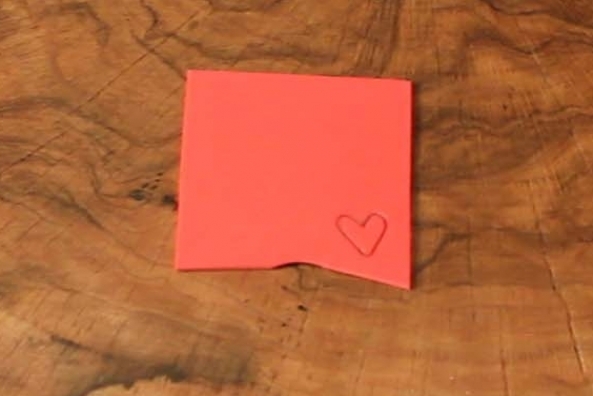 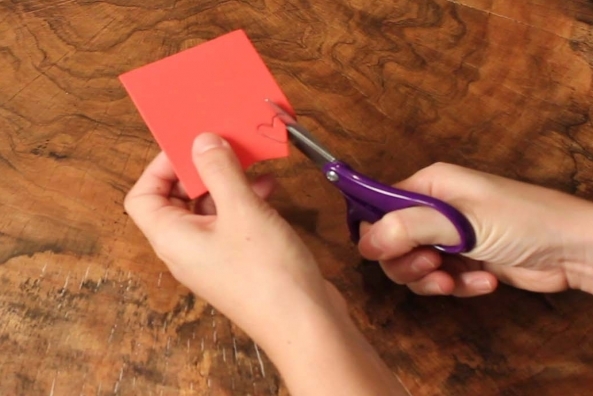 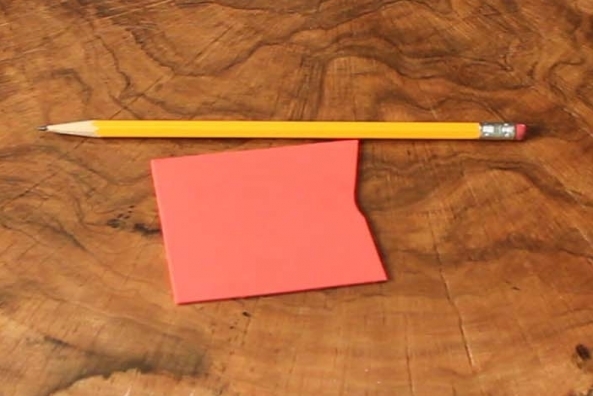 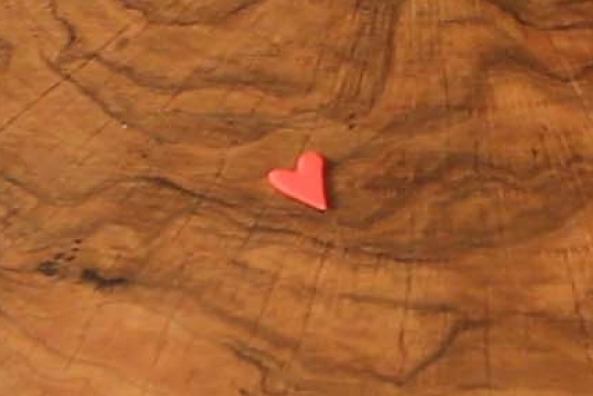 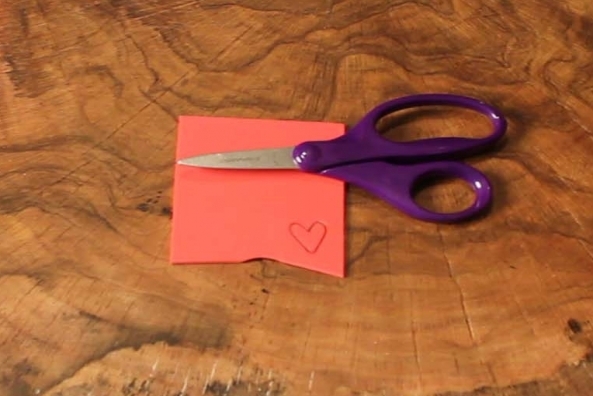 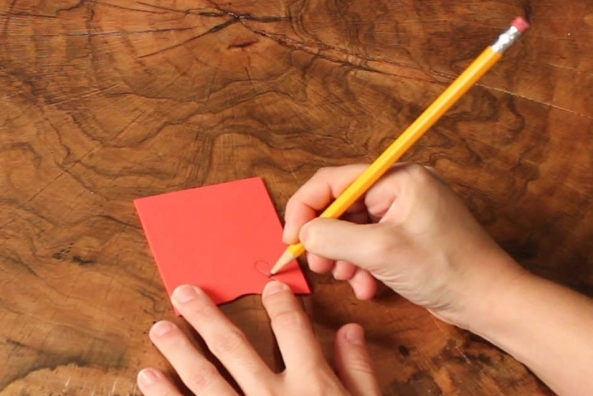 Draw a small heart onto a piece of red craft foam. 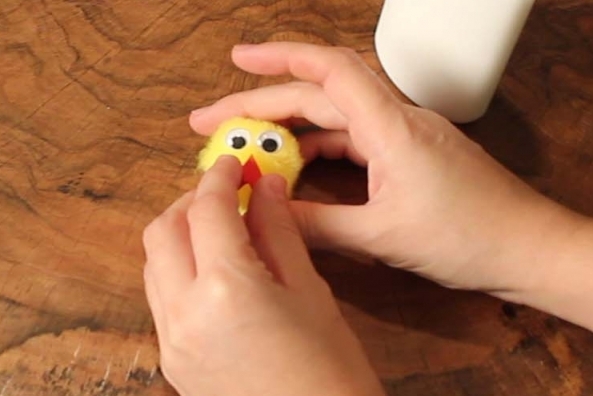 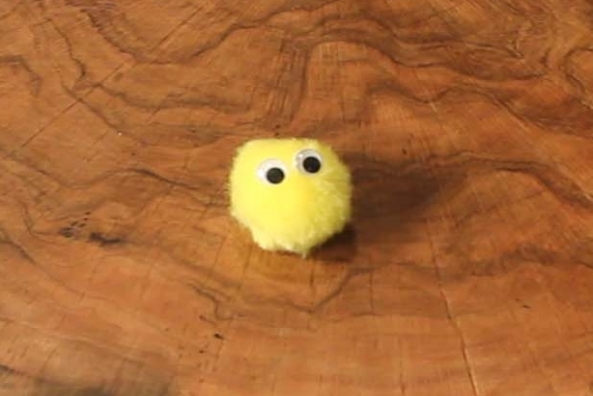 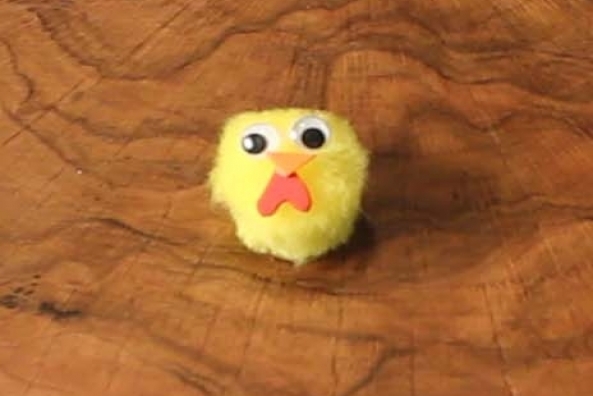 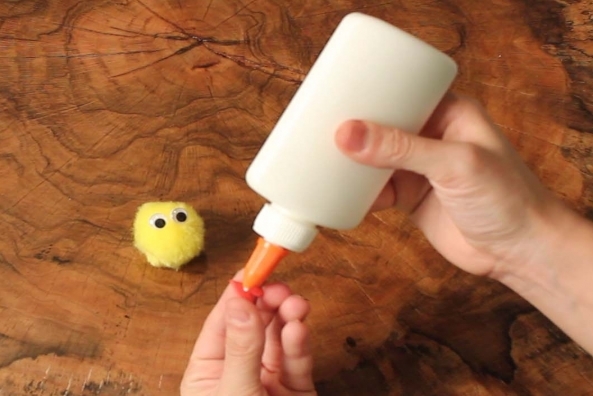 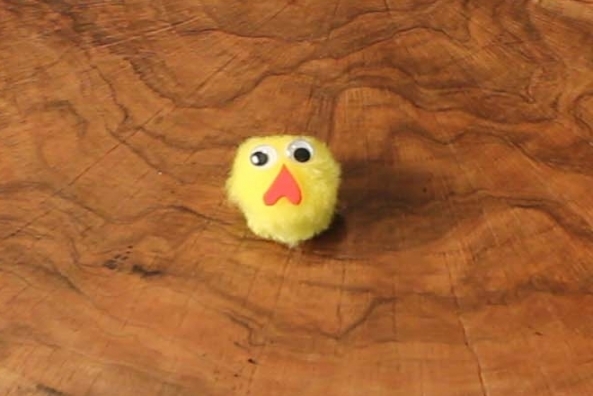 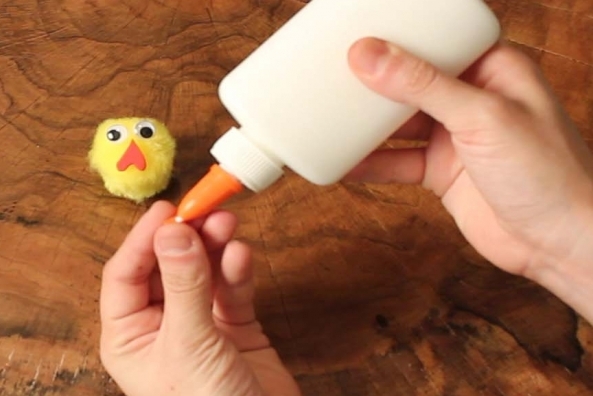 Glue two wiggly eyes onto a yellow pom pom. 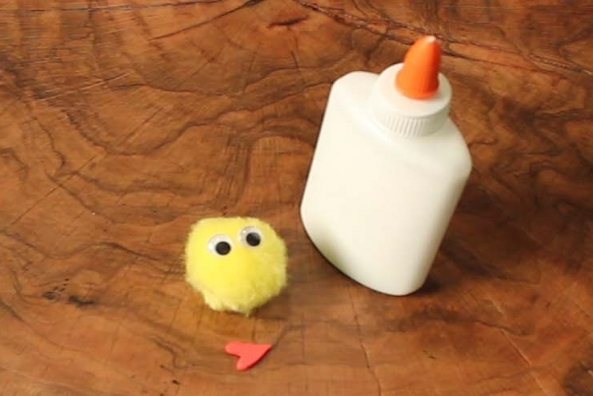 Glue the small heart upsides down under the eyes. 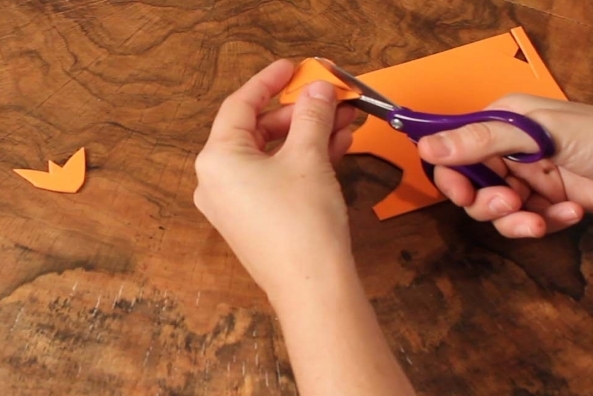 Glue the small triangle on top of the heart with the point facing down. 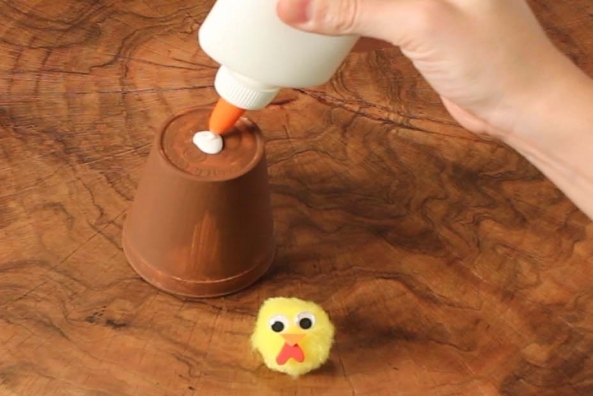 Glue the pom pom on the bottom of the cup. 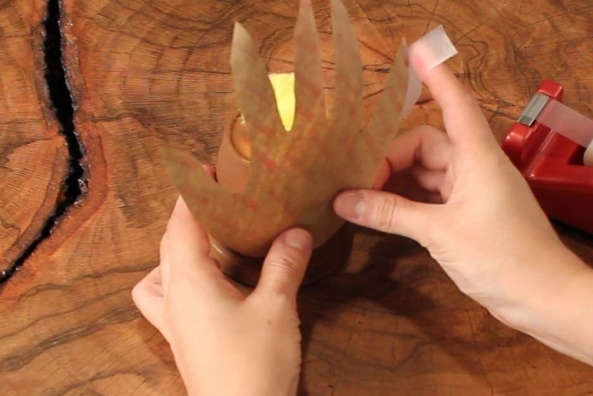 Tape the hand onto the back of the cup with the fingers pointing up. 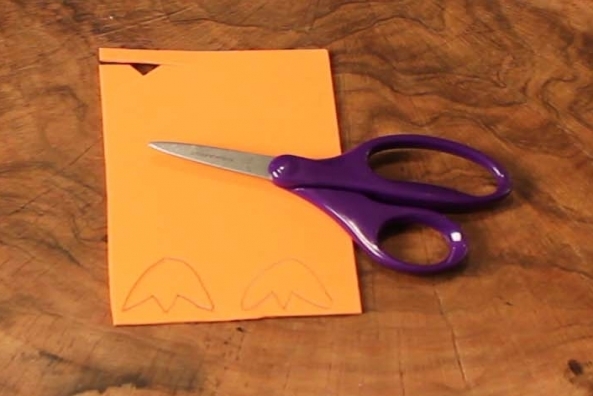 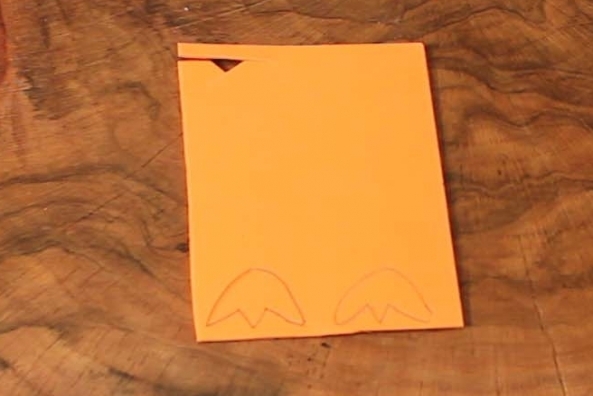 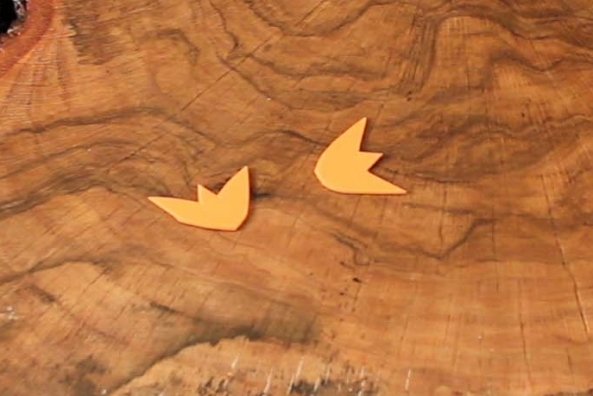 Draw two bird feet onto a piece of orange craft foam. 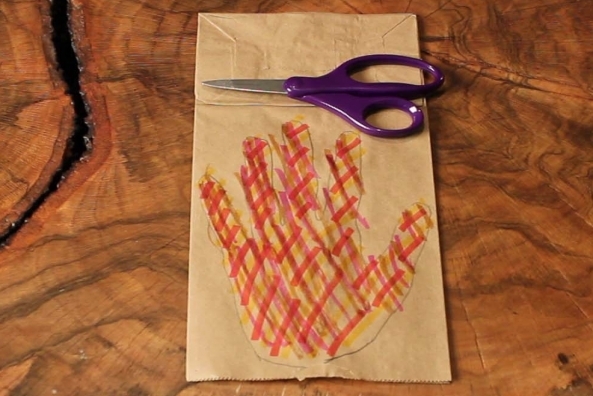 Tape the feet on the bottom of your turkey.